Voters in Catalonia go to the polls this weekend to cast ballots for the regional parliament. And political leaders in Spain and across the European Union are watching closely, as polls suggest a coalition of parties favoring independence for the region may win a majority in the regional parliament. The coalition brings together two parties that traditionally fall on opposite sides of the political spectrum. But the parties share a common vision for a Catalonia independent from Spain. The Spanish government has so far declined to state how they would address a pro-independence parliament. Political leaders in Catalonia have not said they would declare independence unilaterally, but would instead likely move towards a popular referendum on independence from Spain. European Union officials have warned Catalonians that the country would not automatically become part of the European Union if it were to form. Business and financial corporations wave warned that independence would be economically problematic. And the Roman Catholic Church has espoused the benefits of Catalonia remaining part of Spain. But voters appear to be supportive of the idea of a greater autonomy—and perhaps independence—for the region. Spain’s economic woes no doubt contribute to the movement. And a broad anti-EU sentiment that appear to be on the rise across Europe no doubt contributes as well. What do you think? What impact would independence for Catalonia—Spain’s wealthiest region—have on Spain and the European Union? Would you support independence for Catalonia? Why? The government of Great Britain issued an urgent call to the European Union to deploy a team to Gibraltar to “gather evidence” on Spanish efforts to close traffic between the British territory and Spain. Earlier last week, the Spanish government announced it would seek to request the status of Gibraltar be taken up by the United Nations Committee on Decolonization. At issue is whether Gibraltar remains a British territory or returns to the control of Spain. It’s rare that the United Nations Committee on Decolonization would be called on to adjudicate such a dispute, and it’s even rarer that two European Union Member States would face such a standoff. But tensions between Spain and Great Britain have intensified in recent months as Spain seeks to pressure Great Britain on the issue. Spain claims that tighter border security is necessary to curtail smuggling, with the British government maintains that the border checks are politically-motivated. Formally, Gibraltar is a British Overseas Territory located on the Mediterranean coast of Spain. At just 26 square miles, it’s quite small. But it occupies a strategically important point, controlling access to the Mediterranean Sea from the Atlantic Ocean. The territory was ceded to Great Britain by the Treaty of Utrecht in 1713 following the Spanish Wars of Succession. But Spain claims the territory and rejects British claims. A 2002 referendum saw 99 percent of Gibraltarians reject a proposal advanced by the British and Spanish government to establish shared sovereignty over the territory. Instead, under the 2006 Constitution of Gibraltar, the territory governs its own internal affairs but the British government remains responsible for foreign affairs and defense. What do you think? 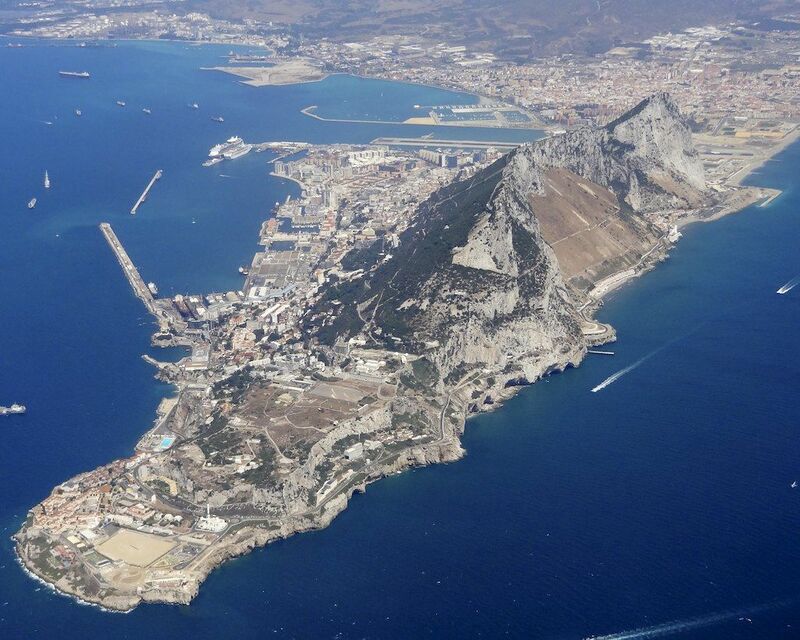 Should Britain return Gibraltar to Spanish control or continue to administer the Gibraltar as an overseas territory? Does the status of Gibraltar present a challenge for European interrogation? And if so, how should that challenge be addressed? Take the poll or leave a comment below and let us know what you think. MQ-9 Reaper Drone on a training mission. 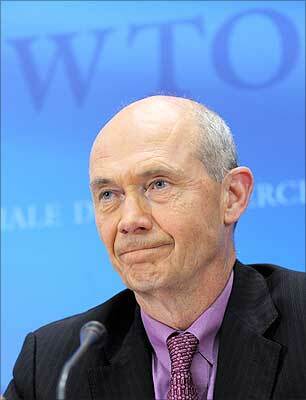 The UN team was struck in January and is not expected to publish its conclusions until October. Yet if Emmerson’s comments are any suggestion, it appears likely the UN team will find the program a violation of Pakistani sovereignty. Officially, the Pakistani government has repeatedly objected to U.S. drone strikes in the country, which have killed an estimated 3,460 people since 2004, the vast majority under President Barack Obama’s tenure in office. Privately, however, many observers believe that the program depends on the tacit consent—and indeed, the support—of the Pakistani government. Classified documents released in 2010 by WikiLeaks suggest that Pakistani military and intelligence officials have given approval to the U.S. program, but publically criticize the program. So is the program a violation of Pakistani sovereignty? It’s a more difficult question that first appears. Sovereignty can be defined in several ways but is generally thought of as exercising independent or autonomous control over a given territory. This control is usually thought of as the ability to enact binding decisions, or laws, and to rule over the people in that territory. In practice, the principle of sovereignty is never as clear cut as the theoretical definition suggests. Many countries, particularly those in the global south, claim legal sovereignty over their territory but often lack the ability to enforce its claims. In such cases, international relations scholars often describe the country as possessing juridical sovereignty. In the case of Pakistan, the claim is further complicated by the apparently covert agreement between U.S. and Pakistani authorities. What do you think? 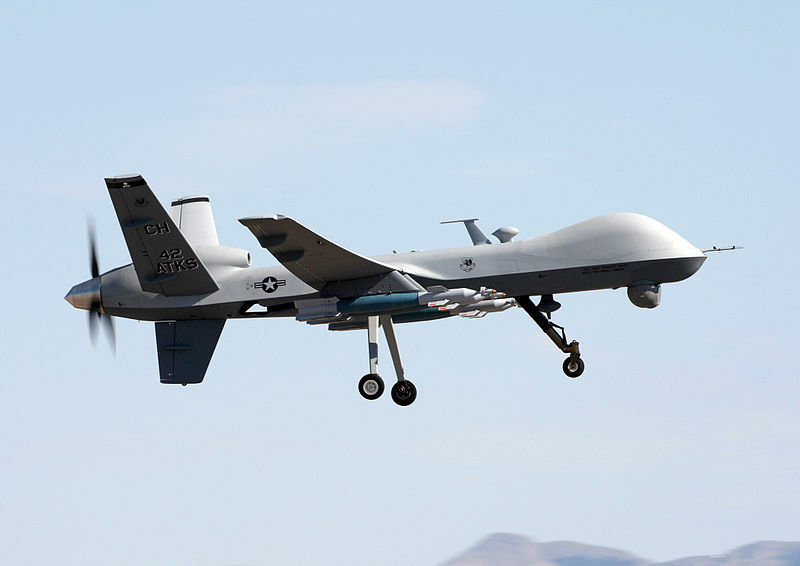 Are U.S. drone strikes a violation of Pakistani sovereignty, as Emmerson contends? Or does the covert agreement between U.S. and Pakistani authorities undermine assertions of sovereignty? Take the poll or leave a comment and let us know what you think. Bob Dole Addresses the US Senate Ahead of a Vote on the Disability Treaty. The United States Senate last week rejected a United Nations-backed treaty that sought to protect the rights of disabled persons around the world. The treaty, known as the Convention on the Rights of Persons with Disabilities, essentially requires other countries to institute policies similar to those already in place in the United States under the Americans with Disabilities Act. The Convention, which has been signed by more than 150 countries and has been ratified by 126, including Britain, France, Germany, China, and Russia, failed to receive the two-thirds majority necessary to ratify a treaty in the United States Senate. Opposition to the treaty came primary from Senate Republicans, who claimed that the treaty infringed on American sovereignty. While the outcome of the vote was not entirely surprising, there had been some hope that the high profile support of key Senate Republicans, including Senator John McCain and former Senate majority leader Bob Dole, would convince enough Republicans to support the treaty to ensure its passage. The treaty also divided conservative groups, with the Heritage Foundation and the Cato Institute both opposing the treaty while the US Chamber of Commerce supported it. Several bloggers have already examined the international implications of the Senate’s rejection of the treaty. At Foreign Affairs, David Bosco asserted that the US position makes little difference globally, and that US rejection may ironically increase the number of countries ratifying the agreement, as some holdouts seek to illustrate that they are more progressive than the United States on this issue. Erik Voeten at the Monkey Cage reaches a similar conclusion. But what does this mean? What is sovereignty and why is it important? The concept of sovereignty is central to international relations. It is simplest sense, sovereignty refers to the exercise of supreme decision making authority over a given piece of territory. More broadly, sovereignty encompasses both a domestic and an international element. At the domestic level, sovereignty refers to the control or authority over space exercised by the state. Importantly, not all states are equally capable of exercising this authority. Some states, like Somalia throughout much of the 1990s, was controlled not by the national government but by various competing militia groups. In this case, we characterize Somalia’s sovereignty as “juridical” (or legal), rather than actual. Sovereignty also has an external or international component, which is usually embodied in the mutual recognition of states and the ability of one state to prevent another from interfering in its domestic politics. In the case of the Disability Rights Treaty, Senate Republicans were arguing that the treaty would have undermined American sovereignty by requiring US law to comply with international dictates. In practice, however, this was unlikely to be the case, as US law was already in compliance with the treaty—indeed, as noted above, the ADA was the model for the treaty itself. So what do you think? Did the Convention on the Rights of Persons with Disabilities represent a threat to American sovereignty? Or were Senate Republicans just playing politics? Take the poll below or leave a comment and let us know what you think. 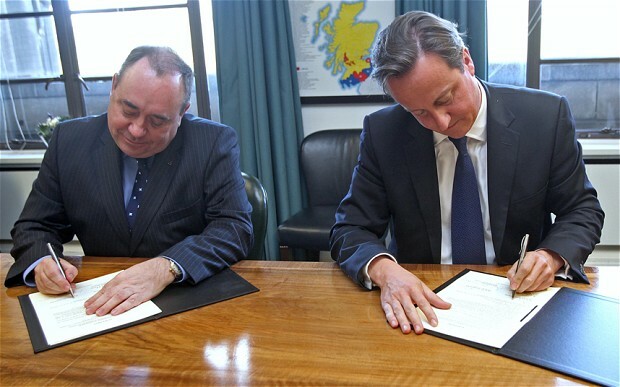 Scotland’s First Minister Alex Salmond (left) and British Prime Minister David Cameron (right) sign an agreement to hold a referendum on Scottish independence in 2014. Earlier this week, the British and Scottish governments reached an historic agreement that would see Scotland hold a referendum asking voters to decide whether Scotland would become an independent country or remain as part of the United Kingdom. Numerous issues are at stake, not least of which is control of the estimated 20 billion barrels of oil and natural gas located under the North Sea. There is good reason to think that British Prime Minister David Cameron is making a strong political move. While the Scottish National Party has polled well in recent elections, the idea of Scottish independence is much less popular than the party which supports it. A recent poll found that only 34 percent of Scottish voters supported independence, while more than half believed Scotland’s economy would suffer if it declared independence. 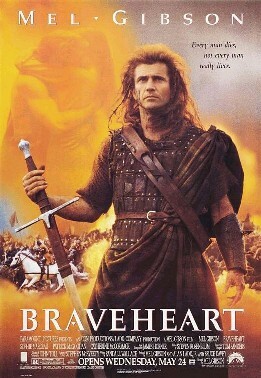 What’s Braveheart got to do with it? The referendum will take place in 2014, coinciding with the 700th anniversary of the Battle of Bannockburn, where the Scots, under the leadership of Robert the Bruce, famously defeated English forces led by King Edward II. Interestingly, the strongest level of support appears to come from those Scots who came of age in the mid-1990s, when the film Braveheart popularized the Scottish struggle. The move towards a referendum on Scottish independence raises one of the classic challenges of global politics: the problem of national sovereignty. The idea of national sovereignty links the concepts of state (the physical territory) and nation (the people who inhabit that territory and share a common sense of belonging). Within a country, the idea of legitimacy links the people and the state through the concept of sovereignty. The right of the state to exercise power, according to political thought since the Enlightenment, is rooted in the social contract. Since the end of World War II, and particularly since the end of the Cold War, the legitimacy of nondemocratic states has been strongly questioned. The problem, of course, is at what level such popular consent takes place. The historical patterns of development has resulted in international legal boundaries between states which rarely correlate neatly with the common identity of those who inhabit those states. Indeed, it is relatively rare for the geographic boundaries of the political entity of the state and the cultural/ethnic entity of the nation to correlate much at all. Yet the tidy nation-state represents the ideal type of international relations. Far more common are multinational states, countries in which multiple nations often compete for control of the state. Nigeria is perhaps the most well-known example. There, more than 250 ethnic groups—the three largest of which comprise about two-thirds of the population—compete for power. One of the most important legacies of colonialism in Africa was the creation of lasting political boundaries that bare little correlation to the politics on the ground, often undermining the sovereignty and legitimacy of the post-colonial state. The status of the United Kingdom is similarly complicated by its history. There, four distinct “countries” are united. England, Scotland, Wales, and Northern Ireland exist as “countries within a country.” Over the past twenty years, political authority has increasingly devolved from the unitary state. Political power has been decentralized away from London and towards regional governments. Independence in Scotland would represent a dramatic culmination of that (admittedly much slower) historical trend. What do you think: Should Scotland declare independence? What would the political, economic, and social implications of such a move likely be? And how would Scottish independence affect the claims of other nationalist groups seeking independence, such as the Basques, Tamils, or Kurds? Take the poll below or leave a comment and let us know what you think. Members of the Somali Parliament Meet at the Mogadishu Airport. 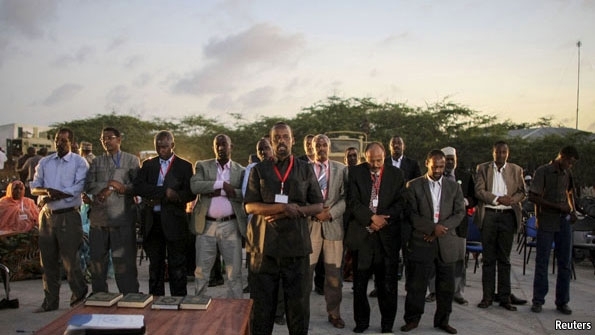 Monday marked the first official meeting of the Somali Parliament in more than two decades. The new parliament replaces the internationally-backed transition government, which had been forced to meet in neighboring Kenya due to political unrest in Somalia. The new parliament is not necessary a democratic institution. Its members were selected by clan chiefs and tribal leaders under rules laid out by international observers. It is hoped that the new institution will be more stable and less vulnerable to corruption than previous governments. The status of the Somali government does raise some interesting questions, illustrating the challenges of understanding states, nations, governments, and sovereignty in global politics. Recall that in international relations, a state is normally defined as a territorial entity with both a population and a government. Ideally, that government should possess sovereign control (supreme decision making authority) and a monopoly on the legitimate use of force within that physical territory. Canada, the United States, and China are all examples. Each has a government capable of making legitimate and binding decisions for a population in a given territory. However, in many cases, the ability of the state to make such decisions becomes less clear. In the case of Somalia, for example, the internationally-recognized government was not even able to operate within the boundaries of the country. Its authority was contested by warlords and pirates, who claimed supremacy over specific regions of the country. Even today, the reach of the Somali government is largely confined to the capital, Mogadishu, and the ability of the government to enforce its decisions is contingent on the African Union peacekeeping forces in the country. This illustrates the contested nature of sovereignty in global politics. While the formal defining of sovereignty is easy to state in theory, its application in practice becomes much less clear. Nevertheless, the fact that the Somali government is able to meet in Somalia at all is a clear indication of progress. For too long, the country has effectively been lawless, leading to domestic conflict between warlords and international tensions as pirates attack international shipping lanes in the Gulf of Aden.